A collection of four novels from the New York Times–bestselling, Edgar Award–winning mystery series starring a rabbi in a tiny New England town. Spend a long weekend with the scholar and spiritual leader who watches over the Jewish community in 1960s Barnard’s Crossing, Massachusetts—and in his spare time, solves crimes. Friday the Rabbi Slept Late: A young nanny is found dead in the temple parking lot—and her purse is discovered in Rabbi David Small’s car. Now he has to collaborate with the local Irish-Catholic police chief to exonerate himself. Saturday the Rabbi Went Hungry: Yom Kippur, the holiest day on the Jewish calendar, is defiled when a body is found—and the rabbi must uncover who has something to atone for. Sunday the Rabbi Stayed Home: When Passover is overshadowed by congregational politics and a murder at a local university, the rabbi must study the clues. 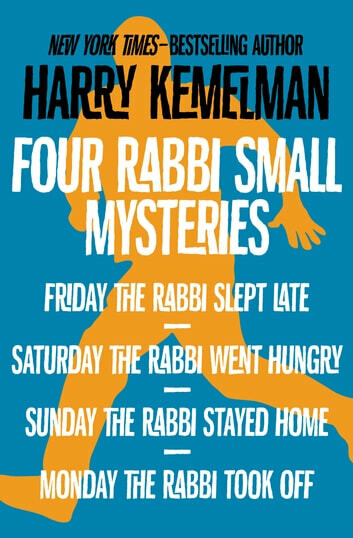 Monday the Rabbi Took Off: Rabbi Small journeys to Israel for a bit of peace, but instead has to team up with an Orthodox cop to unravel a bombing case. 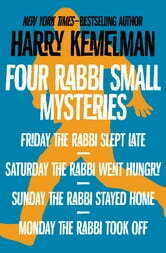 Don’t miss these four mystery novels featuring an amateur detective who uses Talmudic logic—an introduction to the multimillion-selling series that provides both “an eye-opening snapshot of a particular time in Jewish-American history” and delightfully entertaining whodunits (Los Angeles Review of Books).